Congo: How Deep Do We Go? 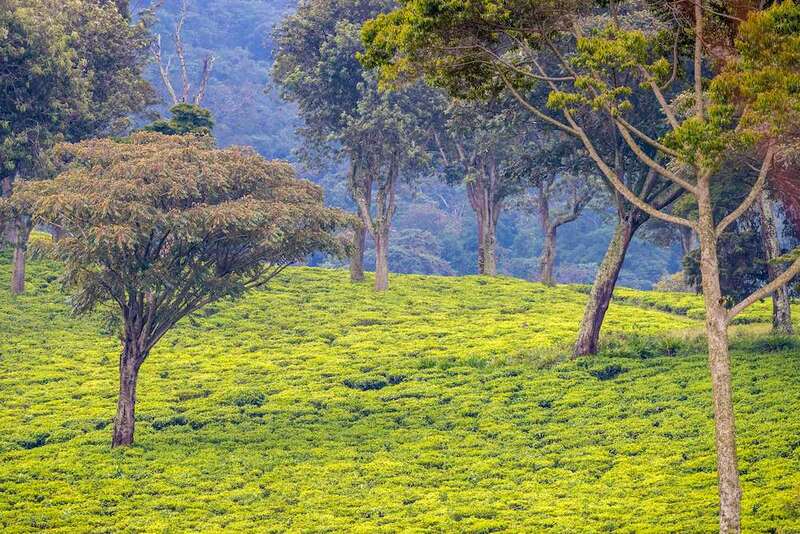 The headquarters of Kahuzi-Biega National Park overlooks a valley sprinkled with white buildings, as if in miniature, separated from the shining surface of Lake Kivu by gently rolling cultivated hills. Behind the thick walls of a visitor centre that could make Rwanda or Uganda envious, a coffee shop occupies one corner and a giant flat screen the other, with cushioned, darkly varnished cane couches and other tasteful furniture in between. There’s serviceable wifi for staff, whenever some electricity makes it up from Bukavu City beyond the horizon. 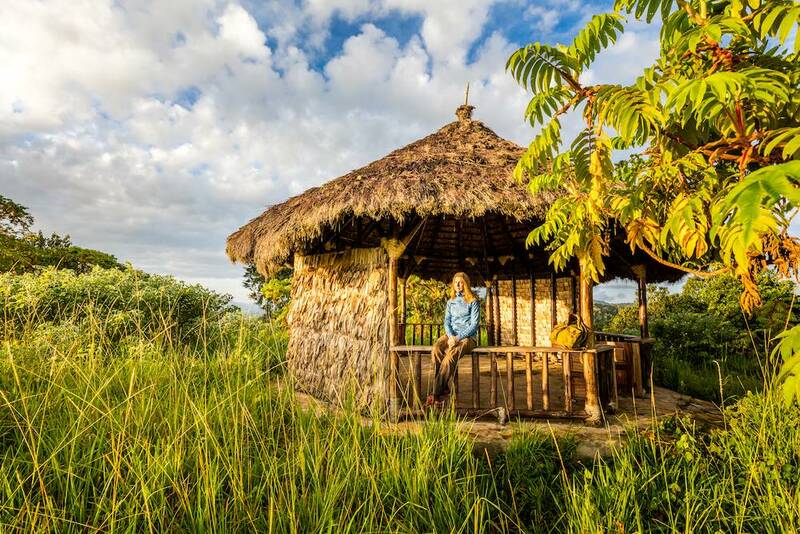 The rainforest begins on the other side, mixed with stands of bamboo that enticed eastern lowland gorillas to make such a lofty home, rising from 2,100 metres above sea level. A bunch of Batwa “Pygmies” are among the trackers who lead tourists to gorillas on an almost daily basis. 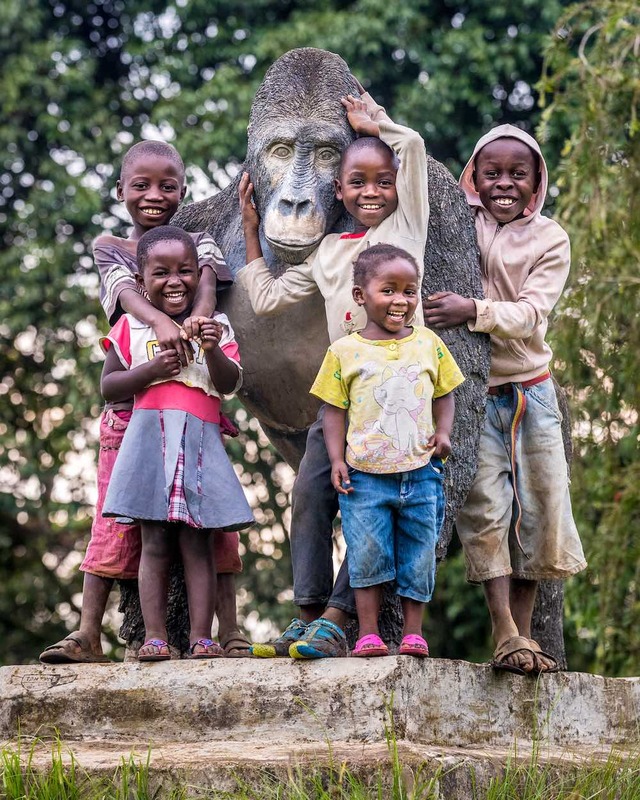 The photo and video front runners of the Gorilla Highlands initiative, Marcus Westberg and Miha Logar, are doing work for ICCN here, the Congolese wildlife authority. Some days from now, our Kahuzi-Biega image libraries should be as complete as the ones for Uganda’s Bwindiand Mgahinga National Park. This is not a matter of what the words “Gorilla Highlands” actually evoke; we have long included the savannah in the wider definition of the region. This is a matter of Congo’s stability. A country as large as Western Europe, the Democratic Republic of Congo (DRC) has not achieved total peace since the end of the second Congo war in 2004. In fact, some dozens of kilometres from the Kahuzi-Biega headquarters there are rebel infested territories. Armed groups mine within the 6000 square kilometres of the park (for coltan vital to the very smartphone you might be reading this on) and bandits occasionally operate on the road that passes through. In short, things could happen that would kill tourism — God forbid some tourists — overnight. Imagine we have already included the DRC in the geographical definition of our region. Imagine we now call it Gorilla Highlands: the Magical Mountains of Uganda, Rwanda and Congo. Imagine something bad happens in these Gorilla Highlands. How will we convince the globe that the rest of the Gorilla Highlands is perfectly safe? Mind you, we are not even a tour company that can control the risks (or the general experience). We are a rather unique private-sector initiative that is the closest to an unofficial Destination Management Organisation, and we supply travel information to independent travellers as well. That increases the risk of an individual or a tour operator we have no influence over doing something silly that would damage the brand. Half an hour down the road an astonishing research centre and primate sanctuary is regally spread across many hectares. The old buildings are from the 1940s, with a delightful colonial feel, while the new structures, the wildlife enclosures, are state of the art. You know what, let us simply show you the draft Lwiro video we are making… It will be eventually narrated by Jon Lee, our American volunteer and a former ESPN volleyball voice, the man who was meant to join us in Congo but couldn’t make it. We periodically get questions about volunteering with animals. This would be heaven for anyone with such desires… Helping the recovery of chimpanzees and monkeys rescued from poachers and pet owners, playing with animals who actually long for human attention… “You do not need to have animal experience, however you do need to have a willingness to do whatever job is required and also be prepared to work in a potentially unstable country,” informs the official website of the Centre for Rehabilitation of Primates of Lwiro. “Has the sanctuary ever been touched by war?” Miha asks Itsaso, the Spanish manager from the video. “No, but we sometimes hear gunshots from far,” she responds. Not just for Congo, but Uganda and Rwanda as well. None of these countries has a stellar global reputation for safety and security. The truth that two of the three are completely fine isn’t of much help. Further towards Lake Kivu — on its lush shores to be precise — a city of 900,000 people astounds its visitor. 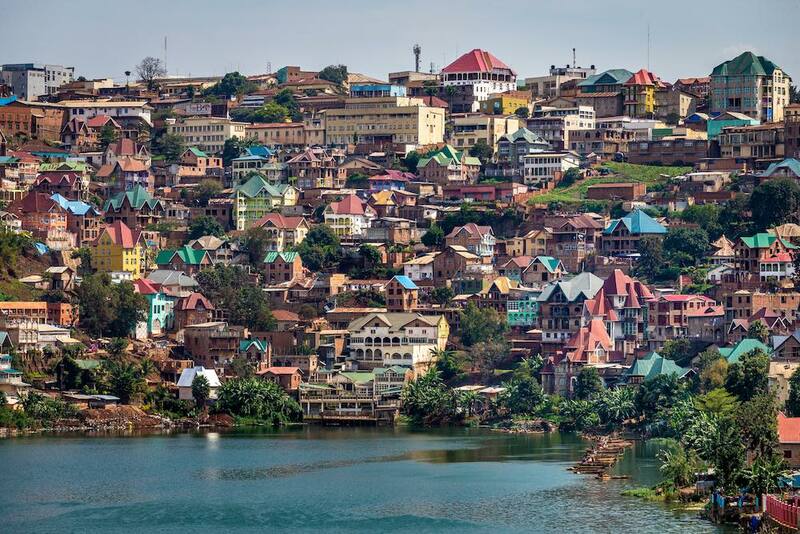 Bukavu is the last thing you would expect in the heart of Africa. It’s a time capsule of Art Deco, with more than 100 buildings of that style, and a fertile ground for typical multi-storey high-roofed houses that keep popping up, even in the slums. “Almost comically scenic” notes Philip Briggs, describing the Bukavu area in Bradt Guides’ “Rwanda” book. But this is not Rwanda of course. It’s only that the attractions of Eastern Congo are best accessed through Kigali International Airport. The must-see ports of call on the southern edge of Lake Kivu unveiled thus far have a counterpart in the north. 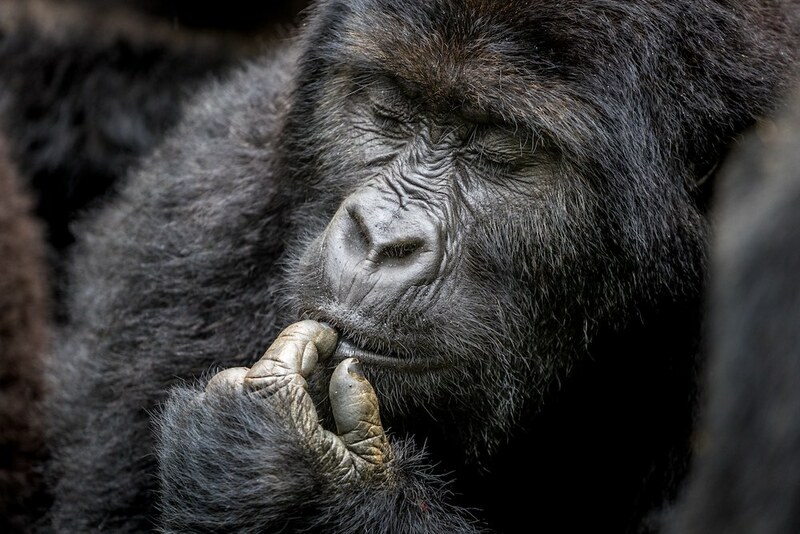 There, the marvellous opportunity to spend your night next to the lava crater of Nyiragongo is further sweetened by cheaper mountain gorilla tracking. The gorilla permit pricing differences are currently especially staggering. 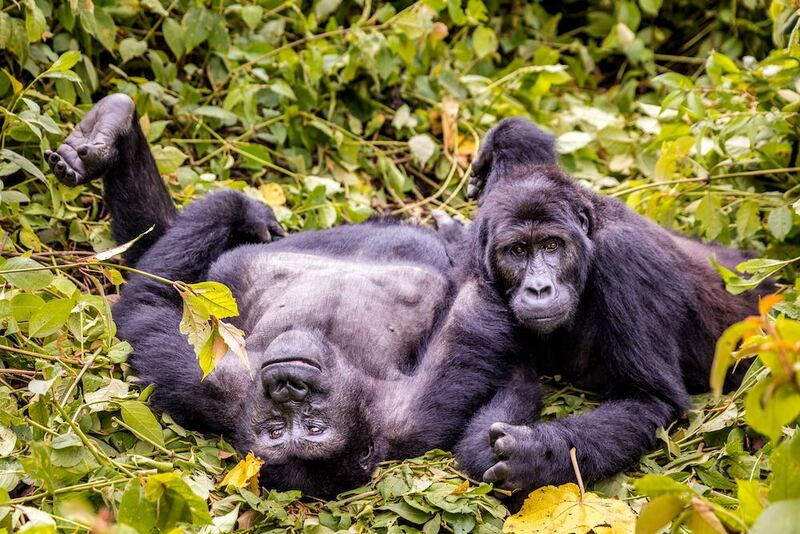 Rwanda charges USD 1,500 for the pleasure of spending one hour with gorillas. Uganda will (likely for the last time) kick off the November low season pricing tomorrow, sliding from USD 600 to USD 500. Congo’s Virunga National Park, on the other hand, is already running a promotion that will last till 15 December 2017 – the cost has dropped from USD 400 to USD 200. Still sounds too extravagant to you? 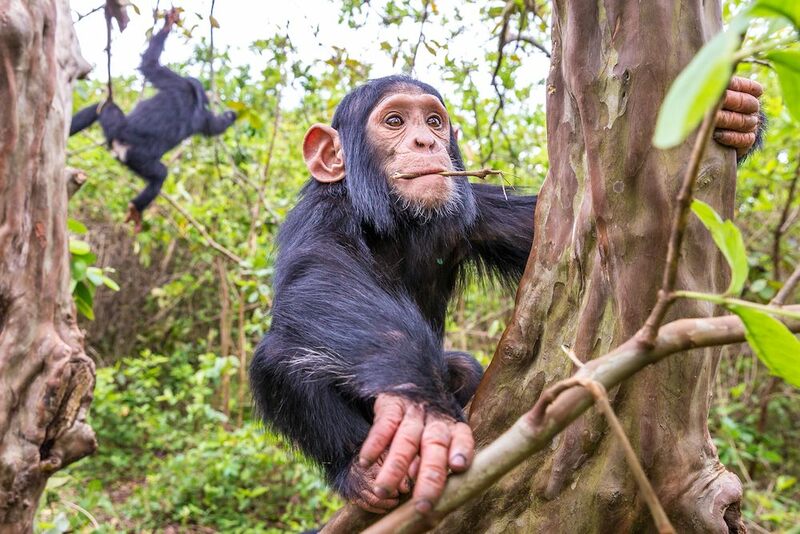 “But you can also find a chimp sanctuary in Uganda!” you might observe. True. However, it is on a Lake Victoria island and the Gorilla Highlands traveller might never reach there… Our ideal guest flies in through Kigali. Back at Kahuzi-Biega, a bright green tapestry begins right at the edge of the national park. An extensive tea plantation, lately in the hands of Indian investors, provides employment to many Congolese workers. The magic word. Jobs. If we ignore Congo’s problem with foreign intruders, when local people earn something and benefit from peaceful economic development, they are far less likely to grab an AK-47. International partners, particularly the EU, support tourism in Eastern DRC because they believe it’s helping the country stabilise. The comparably fancy interior design of the Kahuzi-Biega visitors’ centre, accommodation facilities being readied, and salaries for rangers do not come from gorilla permits yet, they are funded from abroad. Virunga National Park is an even stronger example, where well-equipped, trained and paid park rangers defend the conservation area as an island of security and progress. The idea is that it will all grow from that foundation. The connection to the Gorilla Highlands initiative is obvious. If we say that we “use tourism as a tool to uplift the poor” shouldn’t we do everything we can to assist the DRC? To return to the earlier dilemma: should we promote the Congolese shores of Lake Kivu as an addition to the Gorilla Highlands region, or should they simply become our region? Some practical examples: Will Bukavu follow Kigali and Kampala on the first pages of the Gorilla Highlands Pocket Guide, or will it be tucked away? Should Congolese chefs be invited to the Gorilla Highlands Silverchef 2018 at Kigali Marriott as special guests or full participants? Can the currently unavailable yet award-winning Gorilla Highlands eBook return as a guide to the uplands of Uganda, Rwanda and Congo? We should reach a conclusion during the Gorilla Highlands Bootcamp at Lake Bunyonyi, taking place from 18 to 22 November 2017. Until then, everybody is strongly encouraged to voice opinions – in this story’s comment section on Facebook (see below) or through the Contact Us form. Previous We #RUNWILD for Conservation!